Tennessee Adjutant General MG Terry Haston was stationed near the Berlin Wall in 1989, when the wall came tumbling down. He said his State’s current presence in Eastern Europe is not the same as it was for the American military in 1989, but it serves a similar purpose—to deter Russian aggression. 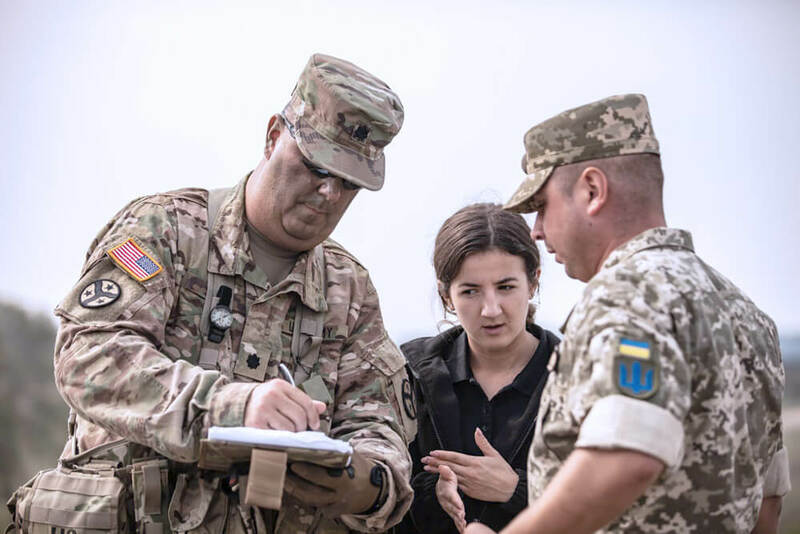 According to MG Haston, several hundred Tennessee Army National Guard Soldiers are currently serving in Ukraine—mostly from the regimental headquarters of the 278th Armored Cavalry Regiment (ACR)—to command the Joint Multinational Training Group-Ukraine. 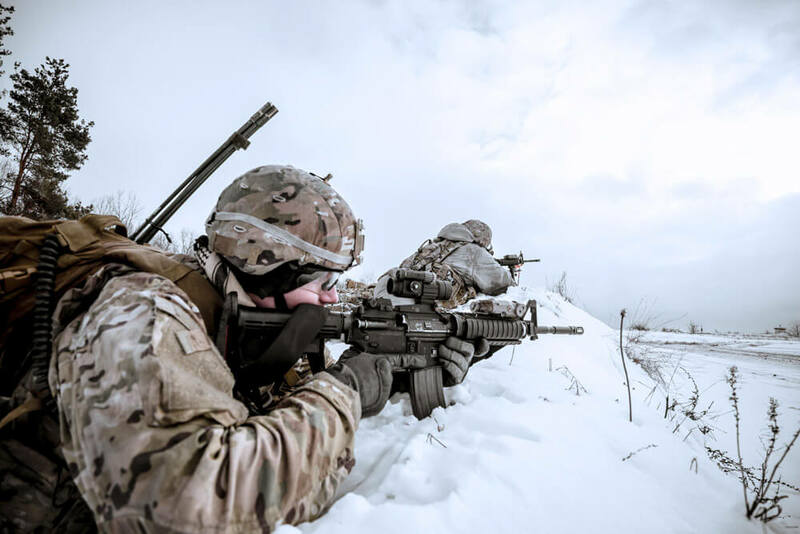 Several hundred more Soldiers from the 278th’s Task Force Raider are in country heading up Battle Group Poland (BGPOL)—part of the North Atlantic Treaty Organization (NATO)’s Enhanced Forward Presence (eFP). Task Force Raider assumed control of BGPOL in September of 2018. 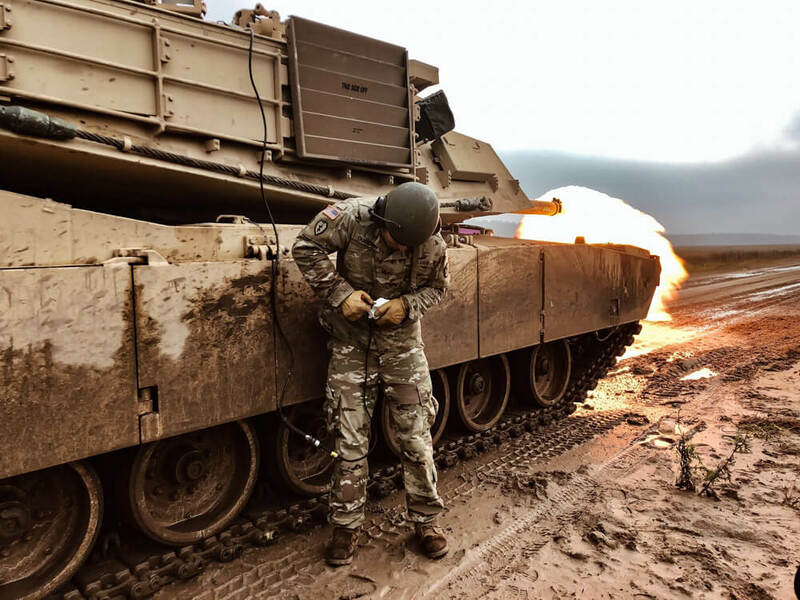 In doing so, the unit is the first U.S. armored task force to provide a military presence along the eastern border of Poland while working under NATO. “Our presence strengthens the defensive capability within Poland,” said LTC Donny Hebel, commander of the Tennessee Army National Guard’s 2nd Squadron, 278th Armored Cavalry Regiment (Task Force Raider), during an interview with Army reporters, “[It] is evidence of continued U.S. commitment to NATO, as well as to the deterrence of [foreign] aggression. 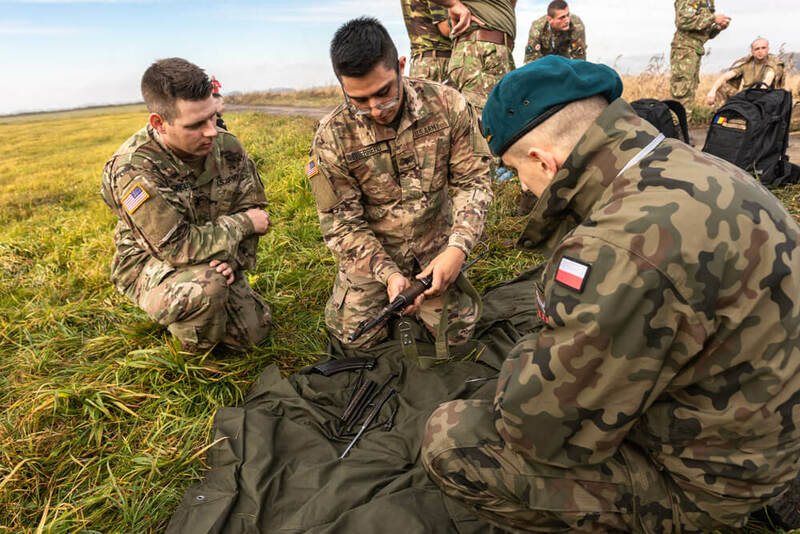 BGPOL is comprised of soldiers from Croatia, Romania, the United Kingdom and the United States, all serving with the Polish 15th Mechanized Brigade as a unified defense and deterrence force in northeast Poland. Soldiers on the ground offered a similar sentiment when speaking about the deployment. SPC Graham Binkley, a Dismounted Team Leader with Third Platoon, E Company of the 278th, echoed MG Haston’s remarks and noted a secondary objective. In Ukraine, the 278th is assisting in the military training of Ukrainian forces as part of Joint Multinational Training Group-Ukraine (JMTG-U). 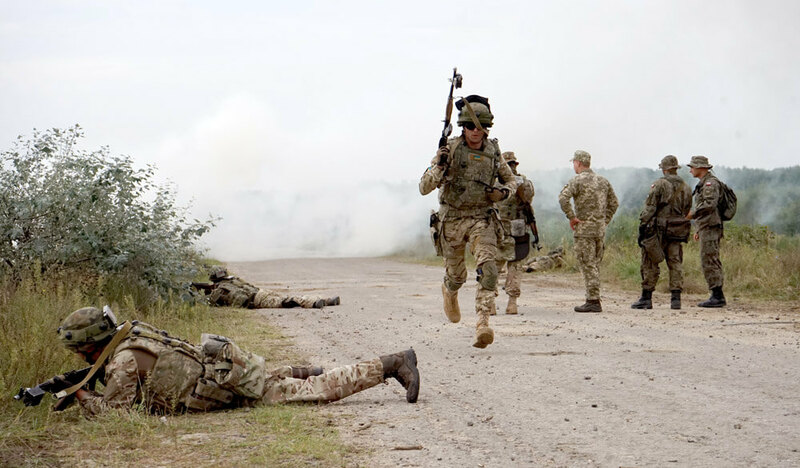 This multilateral group is led by the Combat Training Center (CTC) branch, which is comprised of units from Canada, Lithuania, Poland, Ukraine and the United States. JMTG-U is working to build up the training capabilities of the Yavoriv Combat Training Center. Over the years, several Army National Guard units have helped man JMTG-U, including troops from California, New York, Oklahoma and currently, Tennessee. 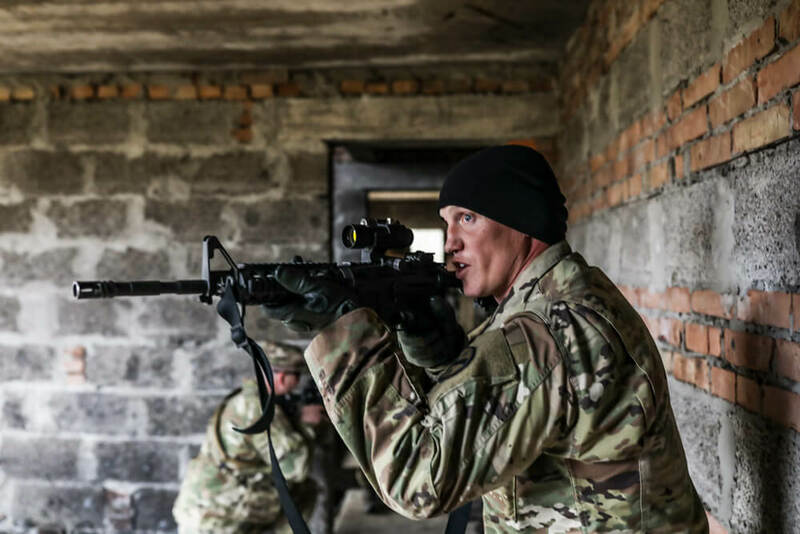 “All international units stationed in Ukraine are tasked with enhancing the capabilities of the training site, with the purpose of assisting the Ukraine military to create a sustainable training program for combat units,” said the 278th’s 2LT Richard Mayfield, who is serving as a mentor while stationed at the Yavoriv CTC. At the CTC, a team of Ukrainian observer controller-trainers (OC-Ts) lead the training of rotational brigades of Ukrainian soldiers. The international Soldiers serve as mentors to the Ukrainian OC-Ts. While it may be the U.S. Soldiers who are responsible for the day-to-day training of the OC-Ts, the benefits of the resulting interoperability are as significant for those mentors as they are for the Ukrainian student-Soldiers. 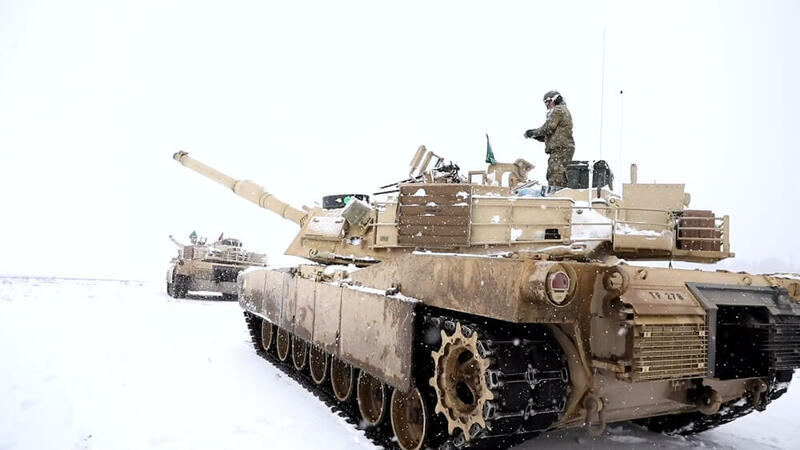 “Whether the Ukrainian OC-Ts are riding atop mechanized vehicles or walking alongside the training units during their tactical movements, you can usually find a U.S. mentor right there with them, regardless of rain, sleet or snow,” said 1LT Logan Shrum of the 278th, who is also assigned as a mentor at the Yavoriv CTC. Last fall, the members of the 278th stationed at the Yavoriv CTC assisted in the multilateral training, Exercise Rapid Trident. Held at the International Peacekeeping and Security Center, also located in Yavoriv, Rapid Trident is an annual, two-week exercise that was created to enhance joint combined interoperability across allied and partner nations of Ukraine. The event primarily concentrates on defensive operations including command post and field training exercises. Rapid Trident also serves as the validation exercise for Ukrainian units that have completed a rotation at the Yavoriv CTC. During the event, exercises are completed only by the Ukrainian troops who are being observed for validation, while the international troops serve in support roles to include trainers, observers and mentors. The 2018 event hosted 2,200 participants from 14 nations— Azerbaijan, Bulgaria, Canada, Denmark, Georgia, Germany, Lithuania, Moldova, Poland, Romania, Turkey, Ukraine, the United Kingdom and the United States. Training events included a brigade-level computer-assisted command post exercise, situational training lanes and a live-play field training exercise. The work being done by Tennessee Army National Guard troops as part JMTG-U, BGPOL and at exercises such as Rapid Trident all point to the fact that the United States remains committed to the defense of Eastern Europe. It is a commitment that has existed since World War II and remains strong today.